This is the second THR on my left hip, a revision done on October 7, 1996. 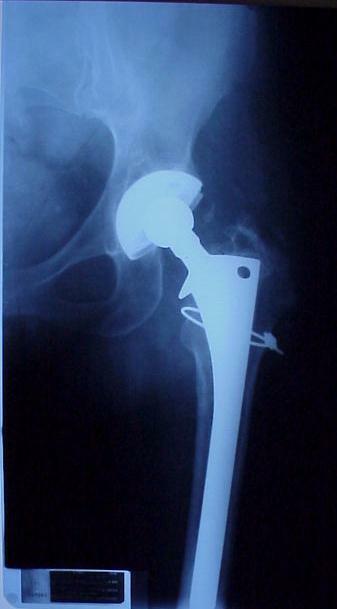 It was manufactured by DePuy and is titanium. The metal band/ring around the top of the femur was to hold a fracture in place so that it could heal. The fracture occurred when the doctor removed my old prosthesis.